As we discussed on the previous blog post “The new Google +1 button and the Effects on SEO”, the Google +1 button has a lot of similarities with Facebook like. Indeed the idea behind the +1 button is not new to the average user since the bookmark buttons have flooded the web for quite many years. Nevertheless Google has announced that they plan to use the data that come from +1’s in several different new ways. In this blog post we will focus on the similarities and on the differences between Google +1 and Facebook Like buttons and we will see why the +1’s might become the Social Media service that Google has been going after for quite a while. 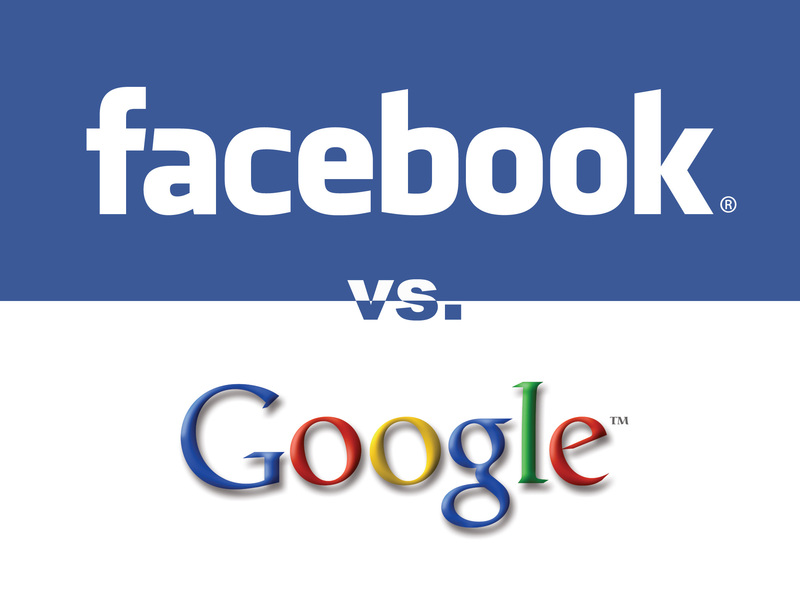 One of the most important differences between Facebook Like and Google +1 lies on the duration of the generated buzz. On Facebook, when you “like” or share a particular page or website, the post becomes visible to your friends via their News Feeds or via your Wall. As a result for a short period of time, the post becomes visible to many people and this increases the odds of going viral. Unfortunately though after a while the post gets buried and the effects of “like” are vanished. The Google +1 works differently. The +1’d pages do not appear only on the +1’d Tab of your Google Profile but also they are visible when one of your friends is searching for a relevant topic on Google. If you have +1’d something in the past and one of your contacts/friends find this page on the Search Results, he will see immediately that you have “liked” the particular entry and as a result he is more likely to click on it. This means that the effects of the +1 button will not be reduced as fast as the effects of Facebook like. This is an important difference and both the webmasters and the online marketers will make use of this feature on the future. The Facebook like buttons are available not only on Facebook website but also on millions domains across the web. Due to the fact that webmasters have acknowledged the importance of using Social Networks to promote their websites, they have adopted the Facebook buttons and they have added them in their webpages. As a result more than 30 billion posts per month are currently shared on Facebook and their Like buttons have become a must-have for every Website. On the other hand, the +1 buttons are currently available only on the Google search results and only if the user is logged in. Nevertheless as Google announced, webmasters will be able on the near future to add them on their websites. Moreover the +1 buttons will soon be visible next to the Adwords Ads and as we mentioned in the previous article this will affect their CTR. So as you understand the +1 buttons can be directly added in several different services and they are more generic than Facebook Likes. The target of Google is to make their button available to as many websites and services as possible. The question is will they be able to do achieve this or they will fail just like they did with Google Wave and Google Buzz? Even if we can not exclude that possibility, we have to take into account that the +1 button can be added much easier than its ancestors in almost every service, website or blog. Due to the fact that Google is one of the most successful Search Engines, they own several high traffic services such as YouTube, BlogSpot etc, they have designed their own browser, they are in the mobile business and they are working on a new Operating System, we should expect that if the +1 buttons are integrated in all the above projects, they will eventually become a standard. After all the +1 buttons can be adopted much easier than the Google Wave and the Google Buzz. As we all know the Social Media data are used by the major Search Engines as signals and they affect the Rankings. Currently Google and Bing use information that comes from Twitter, Facebook, Flickr etc to determine if a particular page is popular to the users. Additionally Google has launched several features that use the info from 3rd party Social Networks in order to develop new search functions. Nevertheless at the same time, Google tries to enhance further the search experience and determine directly the social popularity by developing their own Social Media features and by using their own “social layers”. Google capitalizes on their size and they are likely to push heavily their new button. They give incentives to the webmasters to adopt the +1s because they know that this will affect their Rankings and the amount of Organic Traffic that they receive. When a webmaster adds the Facebook Like button he expects that his Social Media traffic will be increased. On the other hand when he adopts the +1 buttons, he should expect to receive more organic traffic that has a “Social Flavor”. This is because not only the number of +1’s will eventually be used as a signal but also because the users will recommend sites to their friends not only via Social Networks but also via the Search. Several people argue whether Google has launched something new or they are just copying Facebook. Based on the above we can say that even if the idea behind Facebook Like and Google +1 button is the same, Google +1 is more generic and it can be used in new innovative ways. Of course I don’t believe that Google +1 will manage to kill the Facebook Like, but I am sure that it can become a serious competitor.